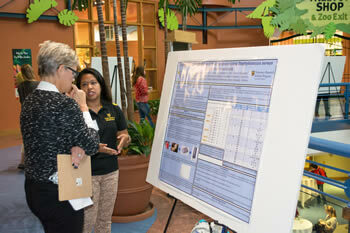 Geraline Arroyo discusses her research with an attendee at the WAMCOH inaugural One Health Conference. 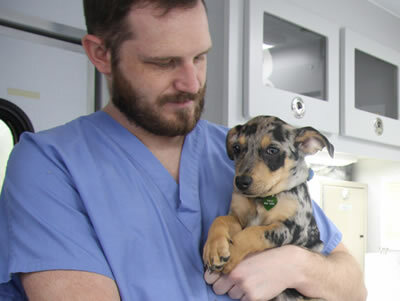 The University of Missouri, Washington University School of Medicine in St. Louis and Auburn University have developed a collaborative partnership to advance research into the one health concept. 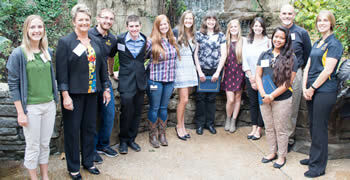 The three institutions held an inaugural One Health Conference on Sept. 30 at the St. Louis Zoo. As part of the conference, a student poster contest was held. Students working on research in areas such as environmental health, comparative medicine, zoonotic diseases, translational medicine, natural resource management and conservation were invited to present a poster. 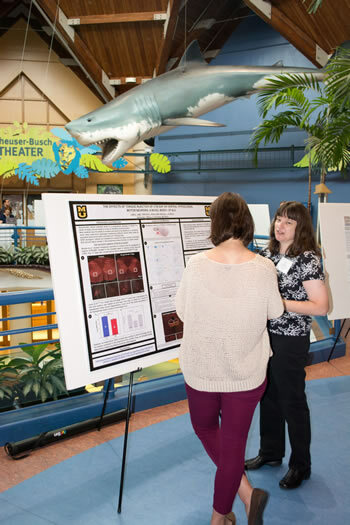 Lori Lind’s research poster involving amyotrophic lateral sclerosis received runner-up honors during the student poster contest. MU CVM students attended the WAMCOH inaugural One Health Conference with faculty members Carolyn Henry, DVM, MS, DACVIM (oncology), FNAP, professor of oncology and associate dean for Research and Graduate Studies; and Jeffrey Bryan, DVM, MS, PhD, DACVIM (oncology), associate professor of oncology, director of the Comparative Oncology Radiobiology and Epigenetics Laboratory and director of the Scott Endowed Program in Veterinary Oncology.